clients want to know: how are you giving back? Safeco’s Agent for the Future™ Survey showed how independent agents recognize that to ensure long-term agency growth, it can no longer be business as usual. However, I’m often surprised at how reluctant independent agents are to talk about their community volunteer work on their websites and social media. Modesty is understandable when it comes to promoting how you give back to your community. But reluctance to tell your impact story is missing the chance for clients, and potential hires, to know more about you. And it’s missing the chance to bring more attention to a cause you are passionate about. Independent agents have a long history of local involvement and working with nonprofits to better the community in which they live and work. Research shows that today’s consumers prefer to associate themselves with brands that make a meaningful social impact. According to the Cone Communications CSR Study, 87 percent of Americans said they would purchase a product from a company who supports or advocates for a cause important to them. Sharing your agency’s passion is an excellent way to build more support for your favorite nonprofits. Focus on the reasons why you and your team support a particular charity, not just your financial contributions, and invite others to join in. Use your newsletter, website and social media to show the impact your efforts have had on one person, one family or one community, and you might inspire others to rally for your cause and your agency. Independent agency owner Kasie Ricart takes it one step further and invites her clients to join her when she is out volunteering in the community. Safeco’s Agent for the Future survey revealed that 58 percent of all new hires are millennials – certainly an encouraging sign that agents are welcoming this powerful segment into the IA channel. More than any generational group before, millennials are more likely to take a job — and stay in it — if it aligns with their personal values. Social impact is a big part of that. According to the Deloitte Millennial Survey 2016, almost nine in ten millennials believe business success should be measured by more than financial performance. Community giving doesn’t need to take a lot of time, or money, to make an impact. 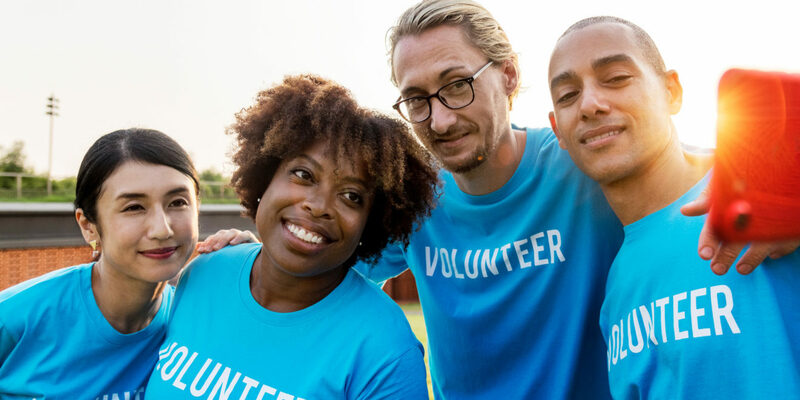 If you and your agency are already giving back, start by sharing photos of the volunteer work on social media with captions about why you’re passionate about the organization. It won’t cost you anything and instantly show return from your followers who will see a whole new side of the agency. If you aren’t yet sure how to give back, check out the Safeco Guide to Community Engagement that is full of information on how to find a nonprofit, develop a relationship and incorporate charitable giving into your agency communications and growth plan. Whatever your cause, it’s worth sharing with your agency staff and clients. Start amplifying your giving efforts with a little marketing muscle because you never know who you’ll inspire next to give back. Alexis Holzer is the program manager for the Agent Giving Program at Safeco Insurance. Passionate about shining a spotlight on the generous spirit of independent agents across the country. Specialties include philanthropy, community engagement, content strategy and communications. This is all great stuff guys! Please keep up the good work! My passion is making meals or helping the elderly people I know having a home cooked meal, taking them to the store, having my husband make repairs to their home. I have been a lifetime member of Girls Scouts and Product Sales Manager for Cookies for the Service Unit and Magazine Sales for 12 years.